Vietnam - Culture Smart! 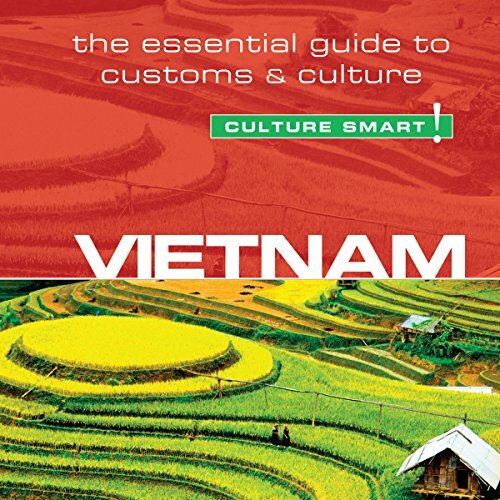 outlines the history, culture, and traditions of the Vietnamese. It explains certain deep-seated attitudes, describes some of the social and cultural changes now underway, and gives practical advice on what to expect and how to behave in unfamiliar situations. It aims to help you discover for yourself the warmth and vast potential of this fascinating country and its delightful people. They are open and friendly, with senses of humor and irony, and are frankly curious about the outside world. Kind and generally helpful toward strangers, they are industrious, shrewd, and determined to improve their lot. Amidst war and strife throughout their country's history, the true Vietnamese characteristics of patience and adversity shine through in this in-depth look at their culture. In an attempt to cover every area of Vietnamese culture, the author gives minimal information about any single area.